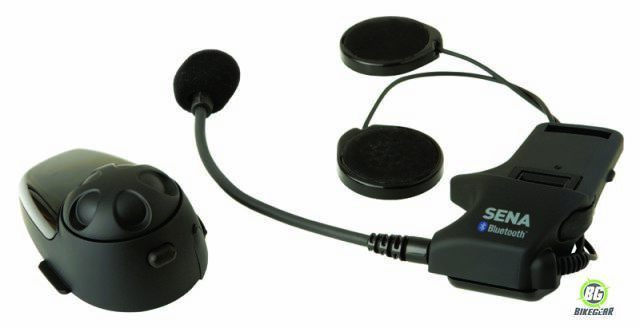 The SMH10 is a motorcycle Bluetooth communication intercom system with a very different approach to control layout that makes it very easy to use, with or without gloves. This is further evidenced in the owner’s manual which is thinner than most and is easier to understand. 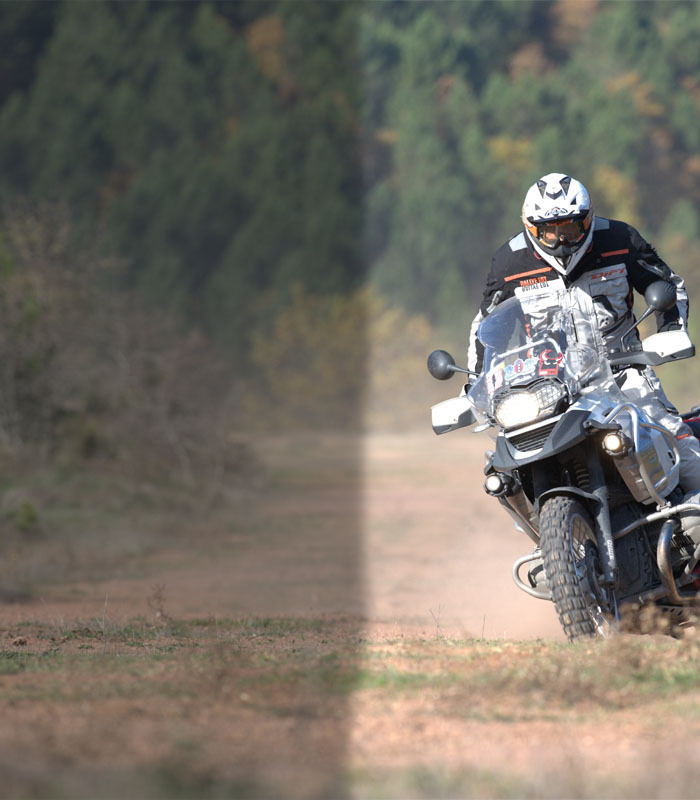 This simplicity is all thanks to Sena’s unique intuitive Jog dial, making operation while riding a safe and easy affair. 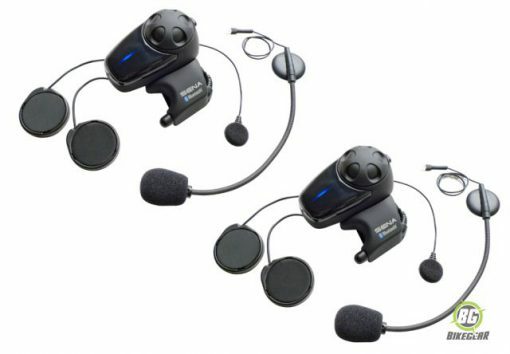 The Sena SMH 10 system pretty much defines the term “ease of use” as it applies to motorcycle Bluetooth intercom systems allowing a rider to focus on the road ahead. If you are looking for an easy to operate system that includes high quality clarity of sound, long battery life, 900 m bike to bike range and a host of other features in a compact wireless helmet intercom, then the Sena SMH 10 will not disappoint. 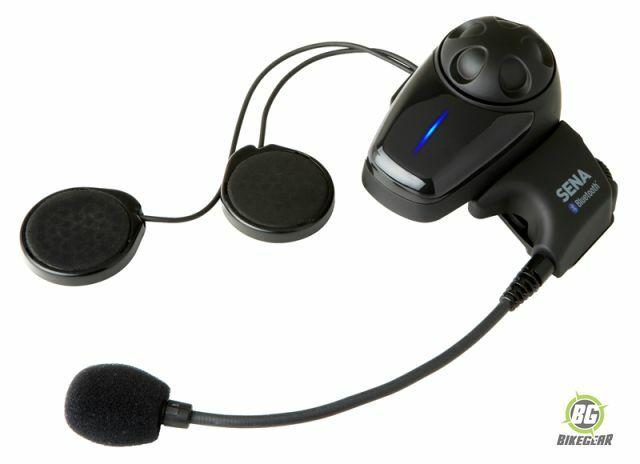 Click here for an in-depth review of the features of the Sena SMH10 Bluetooth Motorcycle Communication Headset. Quick view of the Sena SMH 10 features. The SMH10 Dual Pack package contains two complete sets of the SMH10 in a single box. -Bluetooth intercom up to 900 meters (980 yards). Multi-Pair Bluetooth intercom conference for up to 4 persons. Easy operation by versatile Jog Dial (Patented). Stereo music from Non Bluetooth players via 3.5 mm audio cable port on base of headset. Water resistant for use in wet weather.